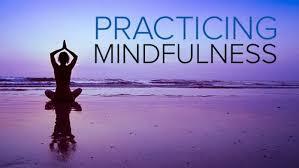 The benefits of mindfulness meditation are immeasurable. So many of us go throughout our day without paying attention to how we interact with the world. We do not pay attention to things that we do that are not in alignment with who we want to be. If you spend time each day briefly going over your day from the time you got up until the time you go to bed, you will begin to see yourself in a whole new way. You will catch yourself in moments where you were not as kind as you could have been, moments where you passed judgement, there will be emotions such as jealousy, envy, and anger. In the noticing of all these moments your first reaction will be shame and disappointment. As you continue your practice each day you will begin to see subtle changes in yourself. This new found awareness will begin to creep into your moments and gradually you will begin to change. Then you will begin to notice that in your efforts to notice, change is happening automatically. Then instead of feeling shame and disappointment, you begin to feel love and appreciation for yourself. This is why the practice of journaling is so important. It reminds us to be mindful. No longer can we hide away the things we think, feel, and say. As we take this time to observe our day we detach from it and look at it with a new pair of eyes. We start to realize that we are not these things and in that realization we become so much more. Check out my website at Your pain is my pain and read the article, Knowing Yourself. It includes a practice that you can use as a guide for going over your day and teaches how to be more self-aware.